Today three new titles have been announced as tie ins for the upcoming Secret Wars event: Future Imperfect, E is for Extinction, and 1872 . Two are re-imaginings of old events (which isn’t a surprise anymore at this point) while one will be a new spin on familiar characters that takes place in the past. All three will bear the Warzones banner. Future Imperfect was a short 2 issue limited series that saw the Hulk time jumping into a dystopian future and meeting an alternate version himself called Maestro. The alternate university bore witness to a nuclear explosion that nearly wiped out the planet’s inhabitants. With strength surpassing that of the Hulk, but also retaining Bruce Banner’s intelligence, Maestro ruled a city called “Dystopia”. While the story wrapped up in two issues, the Maestro character proved to be popular and has appeared many times in other Marvel titles. 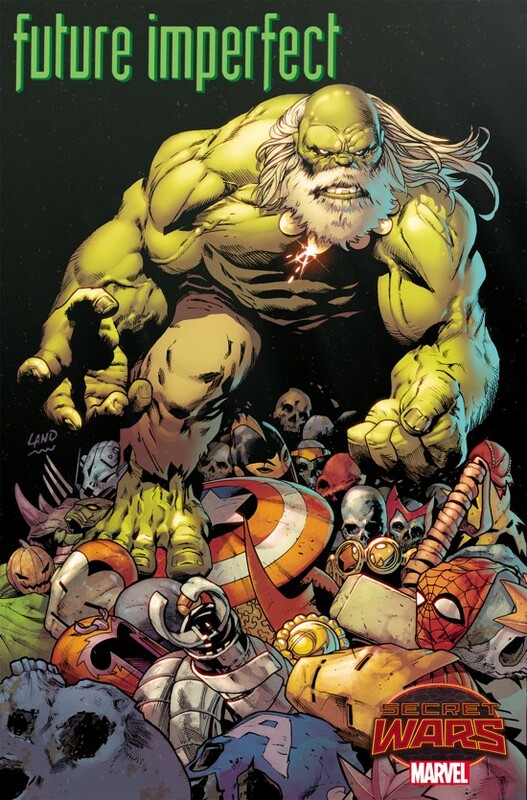 Maestro is also available in games like Marvel Heroes 2015 as an alternate look for Hulk and is the leading villain in the mobile Marvel Contest of Champions. Certain characters from the original run will return in the new Future Imperfect run, but no announcements has been made as to who those characters will be. The original Future Imperfect writer Peter David will be returning and is joined by artist Greg Land. E is for Extinction was an arc on the re-titled New X-Men that began when writer Grant Morrison joined on. The original E is for Extinction was a pivotal event that featured the villain Cassandra Nova sending Sentinels to Genosha. What ultimately resulted was the mass genocide of mutants on Genosha. The E is for Extinction run for Secret Wars will be alternate take, but most of the X-Men that appeared in the original run will show up. 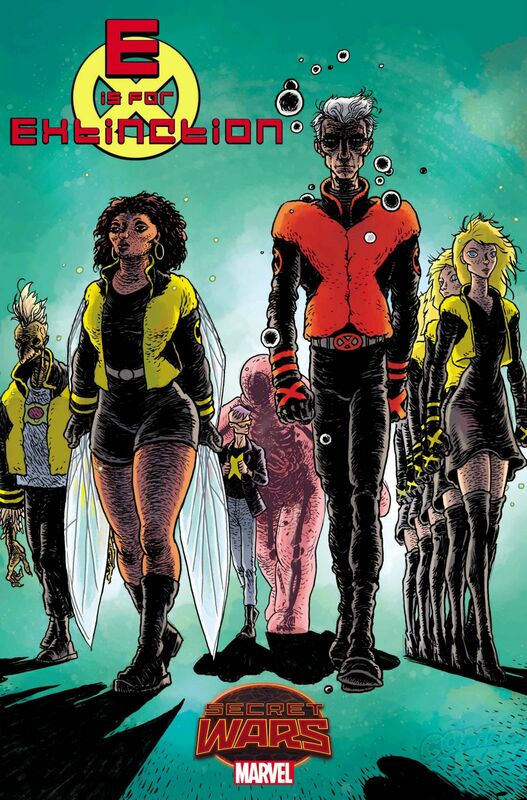 The new E is for Extinction is said to focus on young mutants like Quentin Quire, Beak, and the Stepford Cuckoos (who can all be seen on the cover of issue # 1). The story will be written by Chris Burnham and Ramon Villalobos will handle art. 1872 is an original story made for the Secret War event. 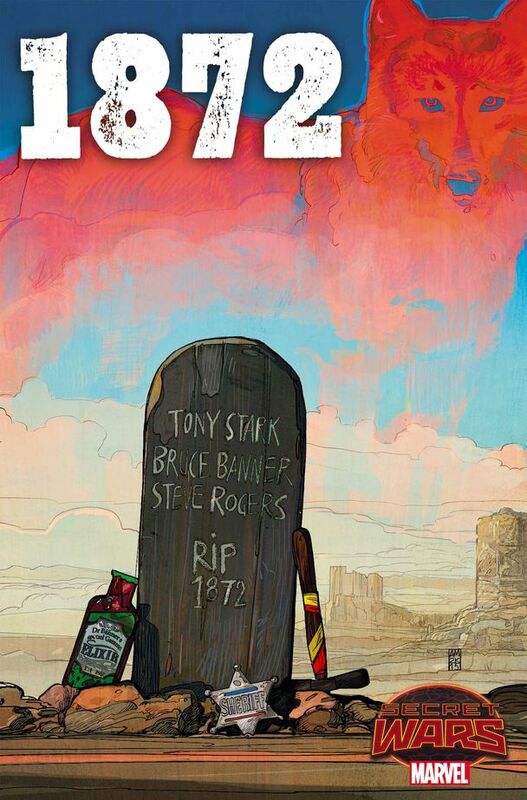 Taking place in the year 1872, in a cowboy town called “Timely” (a tribute to the company that would later become Marvel), readers will find Steve Rogers as the town sheriff. Tony Stark and Bruce Banner have been confirmed to appear in the series. Allusions have been made to Tony having drinking problems in the title. The western themed series will focus on Rogers’ troubles with upholding the law withing the town of Timely. Written by Gerry Dugan and art by Evan Shaner. Marvel made these exclusive announcements through several sites and provided a Q&A. Check them out below.